Why Import Your Organisation Data? To help you ensure your data is in the right format, Campus comes with an Excel spreadsheet template for you to copy your existing organisation data into. If you use this Excel file to tidy up your data before you attempt an import everything should run super-smoothly for you. Many of our users migrate over from different CRM systems to Campus and so already have some data that they want to put in without having to enter every organisation manually. 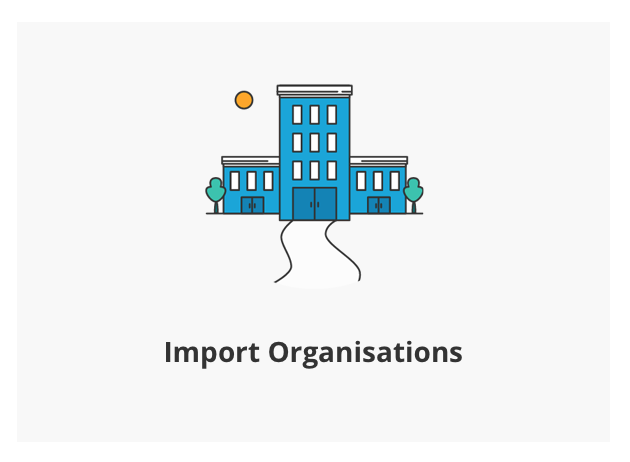 This is where the organisation import feature comes in. Before we start now might be a good opportunity for you to refresh in your mind exactly what an organisation is. Organisations are the places at which your contacts work. They can be businesses or schools. You can read more about this here. It's super-important that your organisation data is nice and tidy and formatted correctly before you attempt to import it. Poorly formatted raw data will remain poorly formatted after it has been imported and will cause you a world of pain going forward… so, it's really important that you follow the help guide below to the letter. ( Data example: "St Mary's School" / "Toys R Us"). Use ONLY 'School' or 'Business' in this column. If your organisation is an institution/school then use "School" and if it's a business, you got it, use "Business". ( Data example: "School" / "Business"). This column is used to categorise your organisations. If the organisation is an school you should assign it a school type. Campus holds a number of school type defaults so match up to these if you can. You can see the default school organisation types here. Data example (if a school): "Independent Primary", "Free School", "Grammar", "University". If the organisation is a business you can give it your own bespoke type. E.g. "Restaurant", "Window Cleaner", "Charity". Campus will pick up on these and add them to your bespoke Organisation Types which can be found in your Contacts Settings page. Data example (if an organisation): "Restaurant", "Window Cleaner", "Charity"
Don't include your organisation's Town, County or Region in these fields. These three fields are created for you by Campus using the PAF (Royal Mail's official Postcode Address File) – Campus looks at the postcode (see next item) and then automatically inserts the town, county, and region for you. Data example: "Unit 3″, "Acacia Drive", "Dino District". The Postcode you enter for each of your organisations will enable Campus to automatically assign a town, county, and region (see above). Be sure to leave a gap between each postcode's prefix and suffix. Ensure this is your organisation's email NOT the contact's at that organisation. E.g. 'admin@organisation.com' NOT 'john.smith@organisation.com'. This is one of the fields that Campus uses to match the organisations in your import file to the organisations in the education data module and is the field that is used to create the invisible link so it's important you include this. Ensure this is the organisation's telephone number NOT the contact's direct line at that organisation. You can leave this blank if you like. Your organisation's fax number. You can leave this blank if you like. Your organisation's website URL. You can leave this blank if you like. You can then add any organisation custom fields as long as you have added your list of them to your Campus plan in the CRM Settings page. You can read more about adding Organisation Custom Fields here. So, you've formatted your organisation data correctly, and also included any organisation custom fields at the end of your import CSV file. Before you go ahead and upload this organisation data it's super-important that you set up your custom fields in Campus. This will mean that your custom fields will get uploaded too. 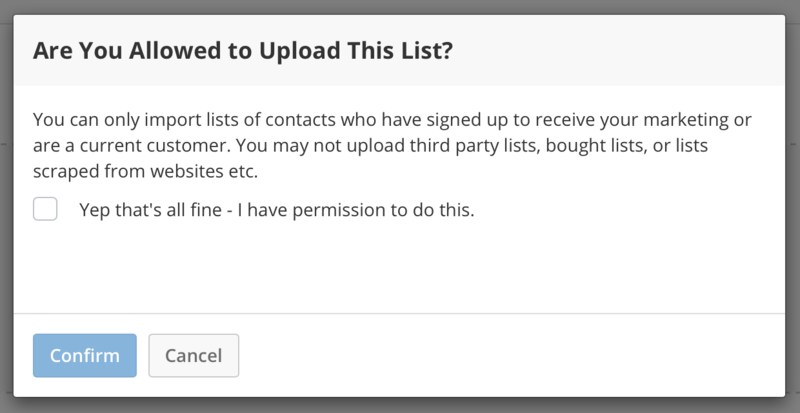 All you need to do is add your custom fields over in the Contacts Settings Page. There is a help article dedicated to getting this right here. It's now time to actually import your organisation data into Campus. Go to your Account module (by clicking on the Account item in the dropdown menu underneath the user picture top right of your screen). Then select the Your Data item in the submenu and then the Import item in the dropdown. Now click on the Import Organisations box. Click on the Import Organisations button and you'll be taken straight to the Import Organisations wizard. You'll now be faced with an important notification. It's important that you comply with this statement – by ticking the box and confirming, you are confirming that the list of organisations you are about to import was gathered in accordance with UK data protection principles. If you do not agree you will be unable to upload your organisations. 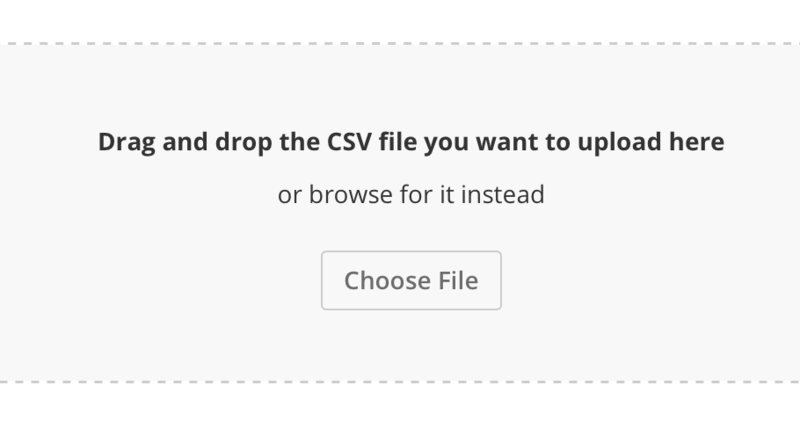 Select your CSV by clicking on the Browse button. Then locate your Organisation CSV file on your computer. Next, review the 'Skip the first row when importing' checkbox. If your CSV has a header row (which if you have used the Excel data import template to format your data it will have) then leave this ticked (it's ticked by default). Once you've done this click the Next button in the wizard at the bottom of the screen. Now you need to match your fields with the fields available in Campus. If you have used the template to format your data then Campus will link up these fields for you. If you haven't you need to match them up manually. Don't forget to also match up any custom fields you want to import. If you're finding there is no option to match your custom fields with then go back and review point 3 of this help article. Once all your fields are matched you can click on the Next button and the import will begin. Campus creates an individual record and page for each of your organisations. Campus notes whether each organisation is a school or a business (it looks at what you entered in the 'School / Business' column of your import CSV file). If it is a school it will attempt to match it to a school in the Education Data Module (it will look at name, email, postcode and telephone) and if it can, it will create an invisible thread between your organisation and the school. Campus de-dupes your organisation data – it will not import the same organisation twice leaving you with a nice clean list. Now just sit tight and watch your organisations import. Once that's complete you're ready to go ahead and import your contacts.